1. Buzoleva L.S. Saprozoonoses: Yesterday, Today and Tomorrow. Byull.SO RAMN = Bulletin of Siberian Branch of Russian Academy of Medical Sciences. 2011; 4: 64–71. 2. Granitov V.M. Khlamidiozy [Chlamydioses].Мoscow: Meditsinskaya kniga. 2002. 192 p.
3. Zaitseva O.V., Levshin I.B., Lavrent'ev A.V., Zaitseva S.V., Skirda T.A., Martynova V.R., Kolkova N.I., Samsygina G.A. The Prevalence of bronchial asthma associated with Chlamydia pneumonia in children and clinical presentation. Pediatriya = Pediatrics. 1999; 1: 29–33. 4. Kuz'menko L.G., Sokolov A.L., Kapustin I.V., Aleshkin V.A., Blyakher M.S., Skirda T.A., Bychkov V.A., Kirillov M.Yu., Zakharui S. Cytomegalovirus, mycoplasma, pneumocystosis and chlamydia infections rate in children with bronchial asthma. Pediatriya = Pediatrics. 1999; 1: 15–20. 5. Ovsyannikov D.Yu., Kuz'menko L.G., Nazarova T.I. i dr. Bronchial asthma in children associated with mycoplasma and chlamydial infections. Allergologiya i immunologiya = Allergology and Immunology. 2004; 3: 146–149. 6. Spichak T.V. The role of Chlamydia infection in children with bronchial asthma. Pediatriya = Pediatrics. 2009; 2: 19–26. 7. Bartlett D.D. Infektsii dykhatel'nykh putei [Respiratory Tract Infections]. St. Petersburg: Nevskii dialekt. 2000. 192 p.
8. Koroleva E.G., Osidak L.V., Mil'kint K.K. et al. Mycoplasma infection in children with bronchial asthma. Pul'monologiya = Pulmonology. 2002; 5: 13–16. 9. Khamitov R.F., Novozhenov V.G., Pal'mova L.Yu. et al. The prevalence of antibodies to Chlamydia pneumoniae and Mycoplasma pneumoniae in patients with bronchial asthma. Pul'monologiya = Pulmonology. 2003; 2: 31–34. 10. Koroleva E.G., Osidak L.V., Mil'kint K.K. et al. Mycoplasma infection in children with asthma. Pul'monologiya = Pulmonology. 2002; 5: 13–16. 11. Khamitov R.F., Novozhenov V.G., Pal'mova L.Yu. et al. Prevalence of antibodies to the carrier Chlamydia pneumoniae and Mycoplasma pneumoniae in patients with bronchial asthma. Pul'monologiya = Pulmonology. 2003; 2: 31–34. 12. Yano T., Ichikawa Y., Komatu S. et al. Assosiation of Mycoplasma pneumoniae antigen with initial onset of bronchial asthma. Am. J. Respir. Crit. Care Med. 1994; 149 (5): 1348–1353. 13. 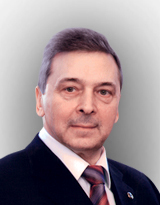 Kozlova V.I., Pukhner A.F. Virusnye, khlamidiinye i mikoplazmennye zabolevaniya genitalii [Viral, mycoplasma and chlamydial genital diseases]. Мoscow: Triada-Kh. 2003. 439 p.